If you’re a Texan, then you probably already know that your state has joined most other states in essentially banning texting while driving. There are exceptions you should be aware of for both texting and hands-free calling. And, of course, having a proper phone mount is still crucial for keeping your device secure and accessible for GPS purposes and emergency situations. 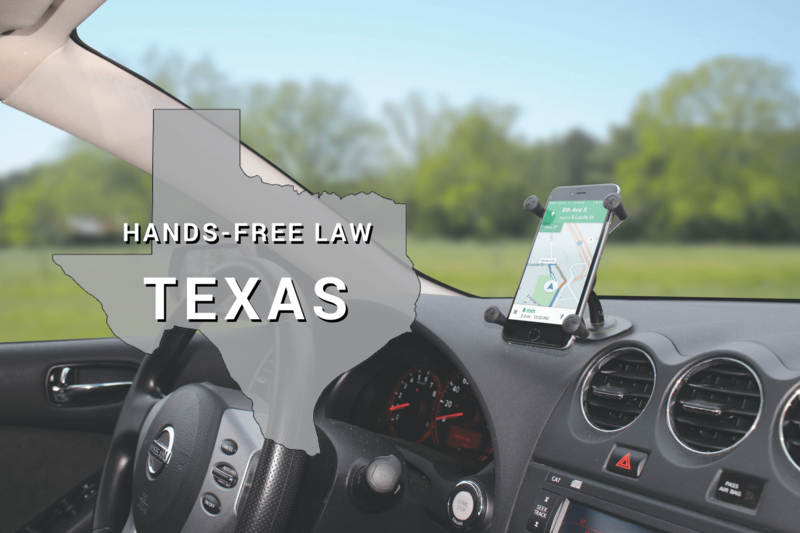 Here’s what to know about the new restrictions, including what’s changed in regard to texting and hands-free calling, and where to legally mount your phone in your vehicle when driving in Texas. Find hands-free law tips for other states, including California and the state of Washington. Effective on September 1, 2017, Texas H.B. No. 62 introduced major changes to the law for drivers. Here’s a breakdown of what is and isn’t allowed, as well as the penalties for breaking the law. The use of apps for GPS apps, music apps, etc. 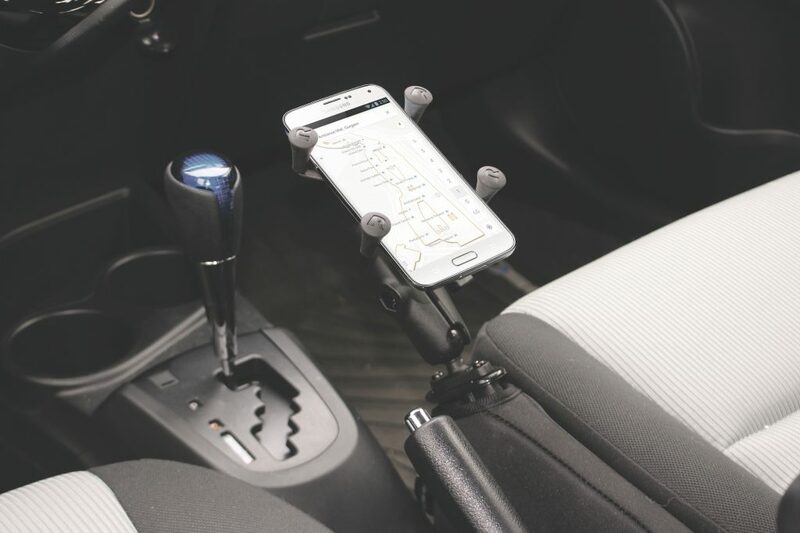 So Where Can You Mount Your Phone in Your Car? That means you should avoid using windshield mounts – such as suction cups – to secure your phone. However, that still leaves mounting locations like the dash, cup holders, and more that you can take advantage of. At RAM® Mounts, we’re proud to offer inventive mounting solutions to ensure you’re complying with the law while also keeping you, your passengers, and others on the road safe. With the popular RAM® X-Grip® (pictured below), easily secure and remove your phone even if it’s in a case or sleeve. Just because windshield mounts are a no-no doesn’t mean there aren’t a variety of mounting solutions for your device. As the industry leader in vehicle mounts for everything from phones to tablets, cameras, and GPS devices, RAM® has several mounting base options to choose from. Pick from easy-to-install dash adhesive mounts, cup holder mounts, and even the popular RAM® Tough-Wedge™ – simply tuck it between the seat and the center console for a secure hold. What do you think of the Texas hands-free law? Let us know in the comments!